Posted on March 11, 2018 March 10, 2018 by SherylPosted in FoodTagged corn beef, kale, recipe. I must say yours looks rather nicer than UK style corned beef, which nothing would persuade me to eat! Wow, it’s fascinating how corned beef refers to different foods in different countries. I learned something new. Thanks for finding the link. It is a nice comfort food. With kale! That’s interesting. I’ve never prepared or eaten it that way. Good idea. The more common today combination is corned beef and cabbage. I found it really fascinating that this recipe called for another cruciferous vegetable (kale). Love Kale and love Corned Beef, so may give this a try! 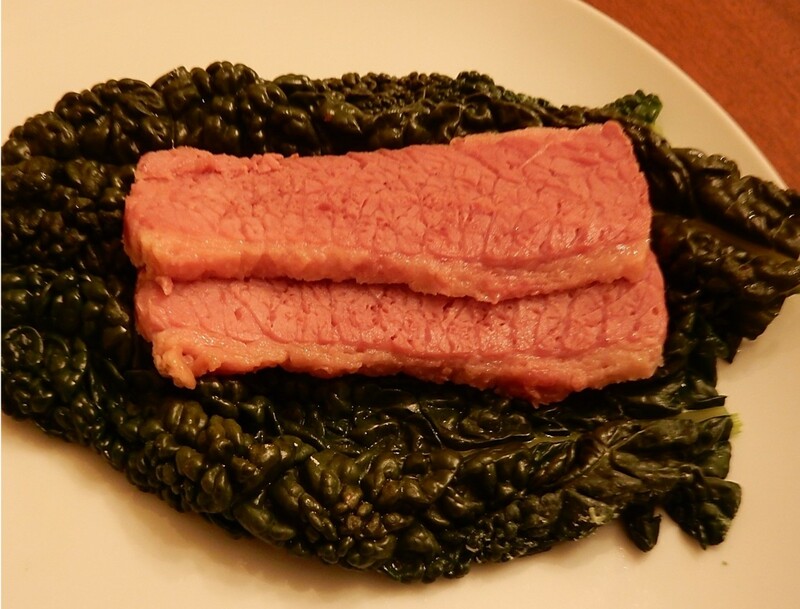 If you like both kale and corned beef, I think that you’d enjoy this recipe. I have not seen very many hundred-year-old kale recipes, so I was pleased when I found it. I never thought to put this on kale. Great idea!